Are you in need of a whiteboard? 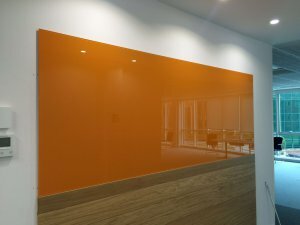 Techniques and designs have moved forward significantly over the last few years and we can provide you with a glass wipe board in any colour, design or size. Glass wipe boards are suitable for drawing, or attaching magnets, and are ideal for the office, meeting rooms, or even in the kitchen. 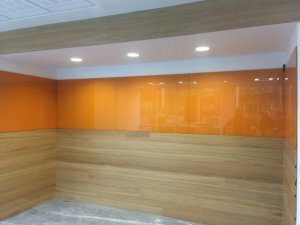 They are made using toughened glass and are extremely hard wearing and long lasting. Our magnetic glass wipe boards are all processed in-house in our state-of-the-art factory.